The idea behind the Ash Row project was to take a fantastic site in a prime seaside location and build four houses which make you feel you are on holiday the moment you walk through the door! The large expanses of green and views of the ocean resulted in these houses having been designed ‘upside down’, the living accommodation with double height spaces and a mezzanine situated on the top floor make the most of the surrounding scenery and the abundance of crystalline Cornish light. The houses have been built to high sustainability standards in a contemporary but contextual style, drawing inspiration from the existing Victorian row houses and quaint beach huts found in the local area. On offer are four large family homes; two six bedroom and two four bedroom units each with high specification Poggenpohl kitchens, double height spaces, stunning bespoke staircases, bedrooms with ensuites, terraces with views to sea and across the Downs and ample storage for all the surfing gear you could possibly wish for. Cornwall is one of the most highly sought after areas of the UK for family holidays, chosen by the Sunday Times as ‘best seaside town’ in July 2016, and becoming very popular in the summer months with people chasing the sun. Bude town has all the amenities a family might need, along with great surf shops and locals with knowledge of all the best spots in and around the coast. 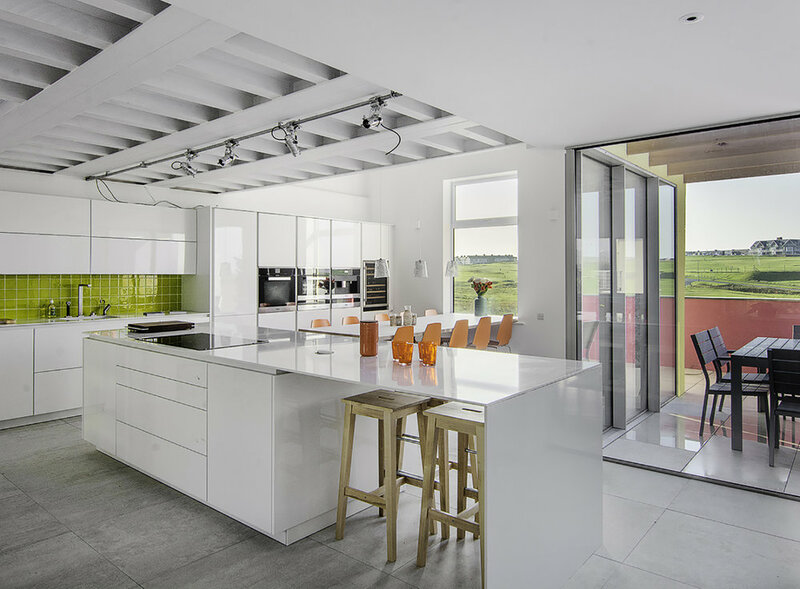 UK Property Awards 2016 — Winner: Best Architecture Multiple Residence - South West England. Plot 1 has now been sold. Prices for the remaining plots start at £695,000. For more details, please contact Colwills on 01288 355828 or visit rightmove.co.uk for further details and full specification.